A banned driver who was caught by police behind the wheel of a car has been ordered to pay £235 and been disqualified from driving for a further 12 months. 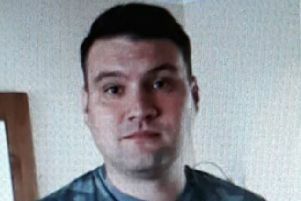 Chesterfield magistrates’ court heard on June 15 how Tony Mann, 32, of Norman Street, Ilkeston, was spotted pulling up to a pub on Sheffield Road, at Stonegravels, Chesterfield, before getting out and throwing keys to the ground. Mann, who has previous driving convictions, pleaded guilty to driving while disqualified and without insurance after he was seen on May 31. Steve Brint, defending, said Mann has struggled with drugs and getting housing but he has now stopped taking drugs and he is getting support. Magistrates fined Mann £120 and he must pay £85 costs and a £30 victim surcharge. He was also further banned from driving for 12 months.